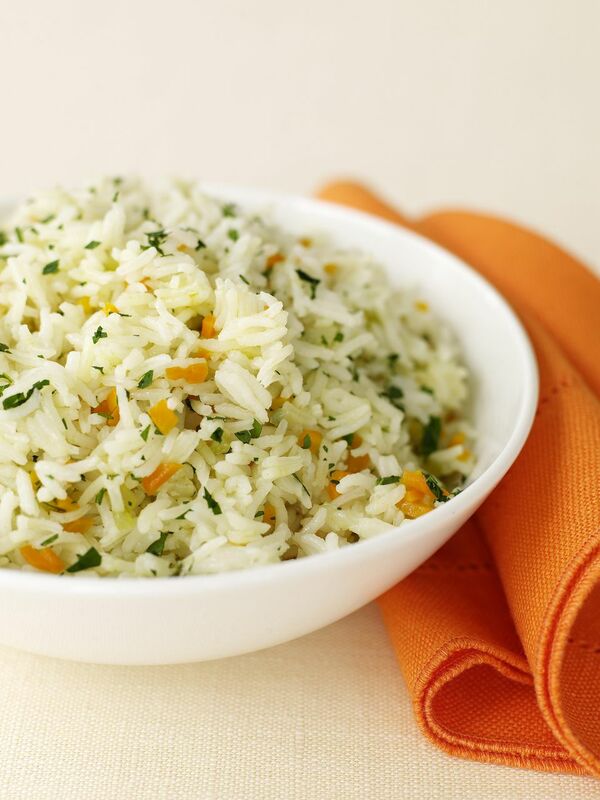 Rice pilaf that is baked in the oven makes it super easy. You can saute some chopped onion and garlic in the oil before you add the rice for additional flavor if you'd like. Some chopped herbs or grated Parmesan cheese are delicious stirred into the finished dish. You can make this recipe with long grain brown rice if you'd like - just bake for a longer time until the rice is tender. This is a great recipe to serve with roasted chicken, meatloaf, or a grilled steak. Once you have the proportions memorized, it's simple to make. Preheat your oven to 375 F. Heat the oil over medium-high heat in an ovenproof saucepan or skillet. Add the rice, stir to coat with the oil and heat the rice until it sizzles a bit for two to three minutes. Add the hot chicken stock, salt, and pepper, bring to a boil, cover, and place in the oven. Bake the pilaf until all the liquid is absorbed, about 20 to 25 minutes. Remove from the oven, toss with a fork and serve. For brown rice, keep all the proportions the same. Bake for 50 to 60 minutes or until the rice is tender.